In this seminar, I mainly introduce some works which I have done in my master period. Firstly, I introduce a work related to color manipulation. This work takes the human attention into consideration to construct the color transfer model, which constrains the color mixing problem that often occurs in the global transfer methods and can avoid artifacts occurs along the boundary. Then, another work related to image manipulation is introduced, which is modeled based on the image filters learning. People can manipulate the style and the color of images through changing the parameters our model. Finally, I introduce some main ideas of the papers that I read recently. Meng Liu is a PhD candidate student in IRC, at Computer Science and Engineering School, Shandong University. She is advised by Prof. Baoquan Chen. Her research interests are Image processing and Deep learning. More specifically, She has proposed models for color transfer and style transfer. 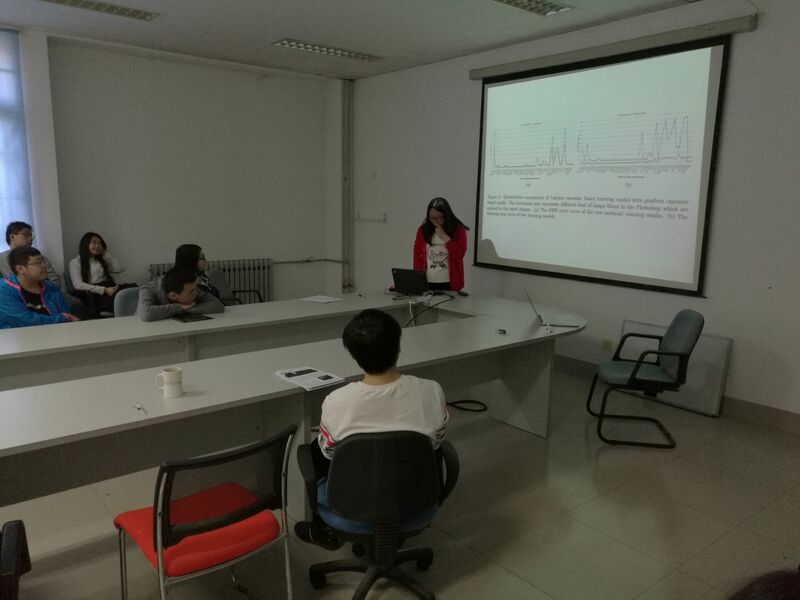 She completed my undergraduate study at Dalian University of Technology in 2016, and received my Bachelor’s degree in Mathematics and Applied Mathematics in 2013.